Eating out in Tenerife patios at Casa Lercaro La Orotava. 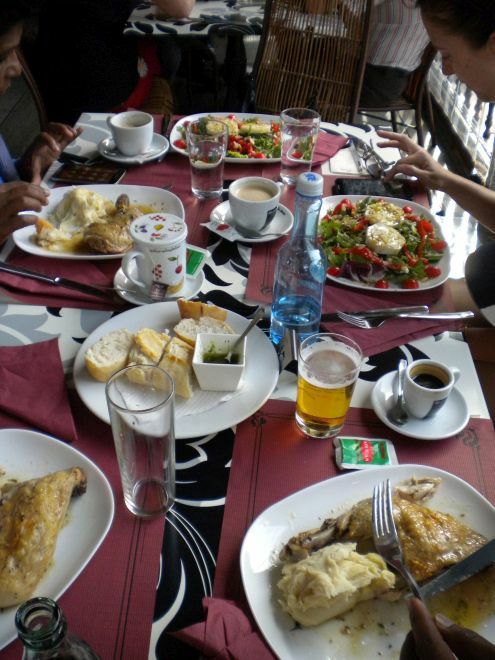 Eating out in Tenerife is a must, as it covers every good eating adventure for best food which you may ever have. 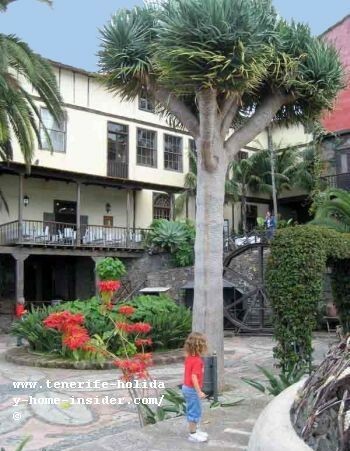 Start your culinary tour in the north Tenerife city la Orotava, which once called Puerto de la Cruz its harbor. 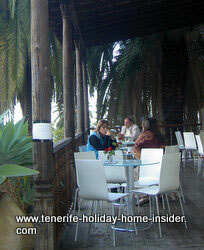 Interior patios excel in the mountainous town La Orotava despite its more moderate climate. 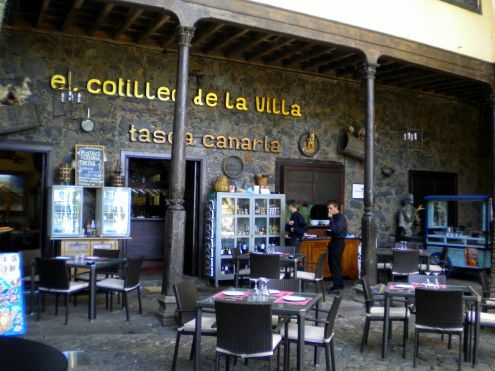 Having a meal in one of the Orotava patios of the XVII century Casa Lercaro is an absolute treat. Eating away from home is even better on the day of flower and sand carpet celebrations in honor of Corpus Christi. 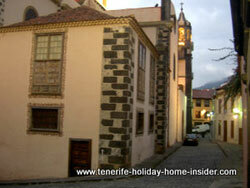 Then Lercaro Kiu center of Casa Lercaro La Orotava plays traditional music for you, as well. My late friend Karin Weltner who lived near the historic Casa used to rave about its Spanish or International dishes as well as its good service and the amazing climateand flair all around it. So did a German in a forum who called it KIU center. Perhaps, the name Kiu center was added for that reason. The other is said to be haunted by the fantasma Catalina ghost, as per Spanish newspaper El Dia about Laguna 2003-11-09. Also, Museo Lercaro is La Laguna's history museum now. However, both of them belonged to the same family. Anyway, the so called centro KIU doesn't only have delicious cakes and superb coffees, which people normally enjoy on its balcony patio next to a bar, which overlooks its three garden patios. As said, there are best food and wines as well, none of which are visible on first sight. Mind that four more exist during dias de Fiestas, such as on the Festival of Corpus Christi of La Orotava. 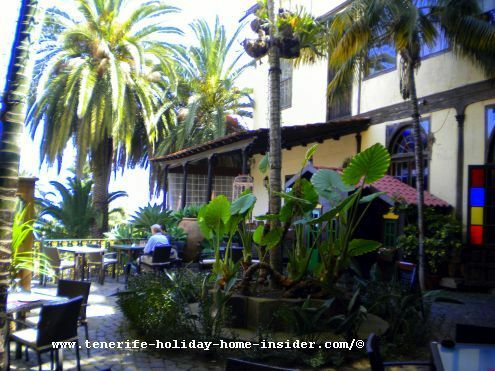 The Centro KIU Casa Lercaro for eating out in Tenerife La Orotava is a must for owners or renters of a holiday home in Tenerife. Its cuisine merits a 4 or 5 star for its food and drinks. The patios of Casa Lercaro are a best example of typical Tenerife houses of its finest, as shown in the first photo above. Discover more typical Tenerife photos with stunning patios of this neighborhood at page townhouse in la Orotava Tenerife. Bars of Tenerife with and without patios to eat out .